Tomorrow I will leave for EMO and I am looking forward to meeting many customers and also seeing what is new. Others come to our Stand to discuss centerless grinders with us, I also go shopping for equipment when I visit different shows. I am looking for a EDM, as well as a small mill and different technology in cutting tools for milling cast iron. With the worldwide appeal of EMO, there will be many choices and options. EMO is also know for its outlandish displays. The Ice bars, Cirque De Soleil performances, and Live Tigers, the cutting tool pavilion never lets you down with the one up-man ship. Ill bring back photos and post them. Following up on the posts of getting rid of the Orion 2200 machining center a couple of years ago, to day we got rid of another relic. 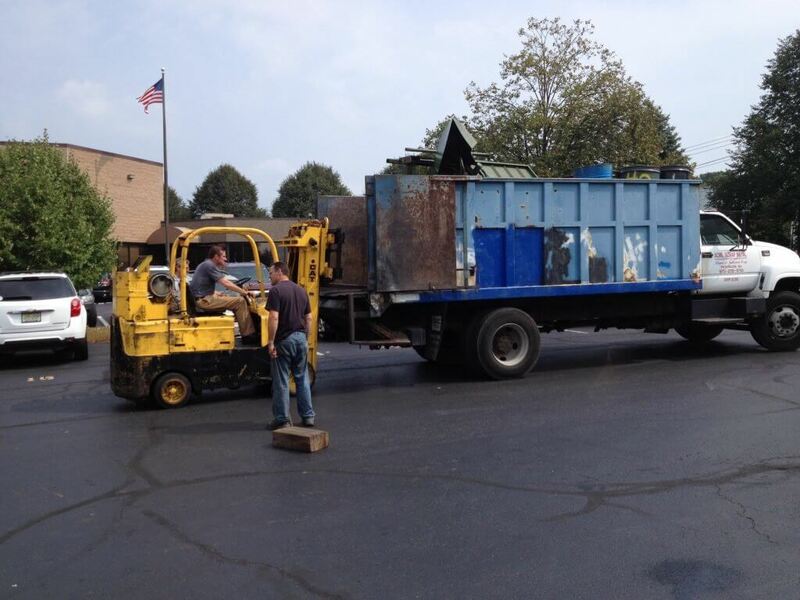 A 10,000 pound Cincinnati Cinturn. This was one of the first CNC machines purchased here and originally ran on a punch tape. Over the years we upgraded the control, and other elements of the system, however our Okuma was too fast and efficient, so over the course of the last 10 years the jobs we ran on it dwindled to zero and then it was taking up space. 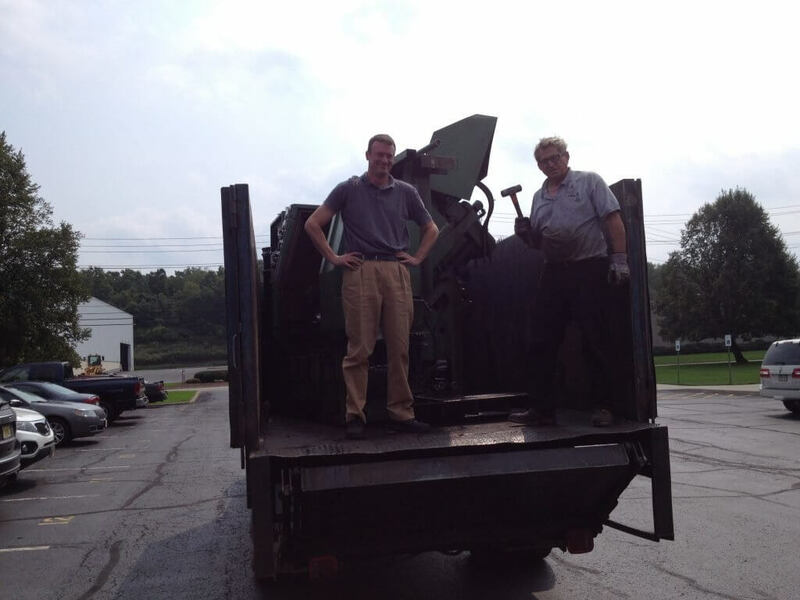 Today with the help of our Longtime scrap guy we shoved it on his truck. When asked how the heck he was going to get it off, he very matter of fact stated, drive as fast as you can in reverse at the yard, and hit the brakes. He paused and added I better put my seat belt on.